Background: Methotrexate (MTX)-induced liver injury is a common problem that is described as increased level of hepatic biomarkers that is seen in 14%–25% of patients with inflammatory bowel disease and 49% of patients with rheumatoid arthritis or as idiosyncratic induced liver injury that is seen in 1% of patients with inflammatory bowel disease, or as fibrosis and cirrhosis in 17% of rheumatoid arthritis patients and 25% of psoriatic patients. This profile may rarely progress to acute liver failure. Aim: The aim is to study the effect of TAK-242 and GIT-27 on MTX-induced liver injury. Materials and Methods: Thirty-five Albino-Wistar rats were divided into five groups: the first group was maintained on distilled water, the second group was administered intraperitoneal (I.P.) dimethyl sulfoxide followed by oral MTX, the third group was administered oral MTX, the fourth group was administered I.P. TAK-242 followed by oral MTX, and the fifth group was administered I.P. GIT-27 followed by oral MTX. Results: The significant increase in markers of hepatic function, inflammatory and oxidative stress markers, as well as severe liver histopathologic change “steatosis” induced by methotrexate were alleviated in the animals pretreated with the drugs TAK-242 and GIT-27. With significant improvement in serum level of alanine aminotransferase, aspartate aminotransferase, alkaline phosphatase, bilirubin, interleukin-6, tumor necrosis factor-α, malondialdehyde and reduced glutathione; beside an improved histopathologic profile of moderate steatosis. Conclusion: This study suggests that both TAK-242 and GIT-27 protect against liver injury induced by MTX depending on their antagonism of the inflammatory Toll-like receptors 4 and 2/6. Drug-induced liver injury (DILI) points to any liver injury caused by xenobiotics or chemicals including drugs or medicinal herbs, whether introduced in therapeutic doses or in overdose., DILI is the most common reason of drug withdrawal after preclinical or clinical studies for example (bromofenac and troglitazone), denied approval for example (ximelagatran), and cessation of development for example (fialuridine), also DILI is the most frequent reason of admission to hospital, liver transplantation, acute liver failure, and acute hepatitis., Methotrexate (MTX) is used to treat various cancers and neoplasms, rheumatoid arthritis-naïve patients, eczema, psoriasis,, inflammatory bowel disease, ulcerative colitis, and steroid-dependent Crohn's disease.,, Off-label MTX is indicated in acute graft versus host disease after allogeneic hematopoietic stem cell transplantation. In combination, it is used in tubal ectopic pregnancy with mifepristone,, narrowband ultraviolet phototherapy, and adalimumab or infliximab., MTX-induced liver injury present as hepatic fatty infiltration, fibrosis, and steatohepatitis. MTX increase cellular sensitization to free radicals (FR) leading to stimulation of immune system starting with hepatic satellite cells (HSCs) which result in leukocyte accumulation, neutrophils secretion of pro-inflammatory enzymes and cytokines like nuclear factor-κB (NF-κB) and tumor necrosis factor-α (TNF-α). This in turn cause more production of FR which leads to sinusoidal congestion, dilation, hepatic fatty vacuolation focal necrosis and portal inflammation which is the typical pattern of drug induced steatohepatitis produced by FR.,, This participation of immune system that results in the production of pro-inflammatory CKs is the link between MTX-induced toxicity and Toll-like receptor (TLR) pathways, which are the common participant receptors of the immune system, the activation of which is required for CK production. This study was performed to investigate whether treating the animals with TAK-242 and GIT-27 could reverse liver injuries induced by MTX or the tested drugs have a valuable hepatoprotective potential, especially considering that both drugs are anti-infl ammatory and immunomodulating agents. DMSO was purchased as 99.5% solution (Central Drug House [P] Ltd., New Delhi, India) and MTX was purchased from a local pharmacy as 50 mg/5 ml injectable solution (KOÇAK pharma, Ístanbul, Turkey). TAK-242 was purchased as white crystalline powder (MedChemExpress, New Jersey, USA) and GIT-27 was supplied as off-white crystal (MedChemExpress, New Jersey, USA). Ketamine was purchased as 10% injectable solution (Alfasan woerden, JA Woerden, Holland) and xylazine as 20% injectable solution (Kepro, ZA Deventer, Holland). Estimation of serum level of alanine aminotransferase (ALT), aspartate aminotransferase (AST), alkaline phosphatase (ALPL) (hepatocellular markers), Interleukin-6 (IL-6), TNF-α (inflammatory markers), and level of lipid peroxide (LPO) was done via sandwich-enzyme-linked immunosorbent assay (ELISA) kits. Hepatobiliary bilirubin (Bb) and malondialdehyde (MDA) were measured by competitive ELISA kits, while total serum protein (TSP) and reduced glutathione (GSH) were measured via assay kits and their content was estimated depending on Equations 1 and 2.,, All kits were purchased from Elabscience, Georgia, USA, and were performed according to the manufacturers' procedure. where the term OD refers to the optical densities measured by the spectrophotometer of the sample, the blank, and the standards for both Equations 1 and 2. A cut was done to the rat's abdomen using a sharp scissor, and the liver was dissected out immediately. Liver tissue samples were fixed in containers with 30 ml of 10% formalin and then stored until they were processed. 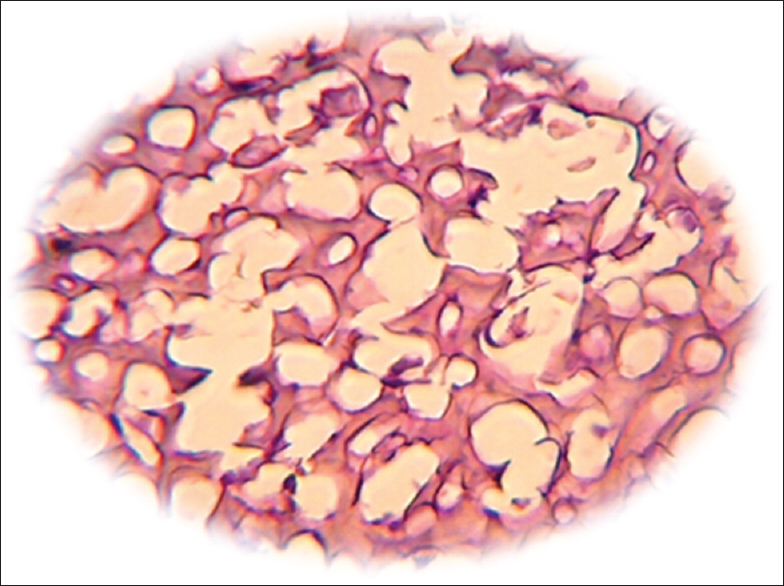 Liver sectioning and embedding was done according to the traditional processing procedure (paraffin-embedded method) described by Bancroft and Stevens to prepare liver tissue for microscope evaluation, then the tissue was stained with hematoxylin and eosin (H and E), Liver structure evaluation after MTX-induced injury was done utilizing the histological scoring system for nonalcoholic fatty liver disease (NAFLD) (NAS score) which comprehend three main changes in the liver: steatosis (S), lobular inflammation (L), and ballooning of hepatocytes (B). Total NAS score represents the sum of scores for steatosis, lobular inflammation, and ballooning (S + L + B) and ranges from 0 to 8. This study involved 35 male Albino-Wistar rats; there was no loss in sample because of death or any other causes as shown in [Figure 1]. In comparison with the control group, treating rats with 0.2 mg/kg MTX only for 1 week resulted in a significant increase in the serum level of hepatocellular and hepatobiliary markers. ALT, AST, ALPL, and Bb were increased significantly (P < 0.05), while TSP was decreased significantly (P < 0.05). Furthermore, there was a significant increase in serum level of IL-6 and TNF-α, as well as LPO and MDA (P < 0.05), while GSH was decreased significantly [P < 0.05, [Table 1]]. The measured inflammatory and oxidative stress markers were analyzed for association with hepatic function tests to clarify treatment effect throughout alteration in their level, which was found to be significant. It seems that decrement of serum GSH was associated with a statistically significant increase in serum ALT and ALPL. GSH level showed moderate negative correlation with both ALT (R = −0.421) and ALPL (R = −0.356), while increment in both serum LPO and MDA was associated with a statistically significant increase in serum ALPL; both showed a moderate positive correlation with a value of (R = 0.384) between LPO and ALPL and (R = 0.381) between MDA and ALPL. DMSO pretreated rats showed nonsignificant changes (P > 0.05) in serum level of hepatic function markers and serum level of inflammatory and oxidative stress markers similar to those treated with MTX (data not shown). 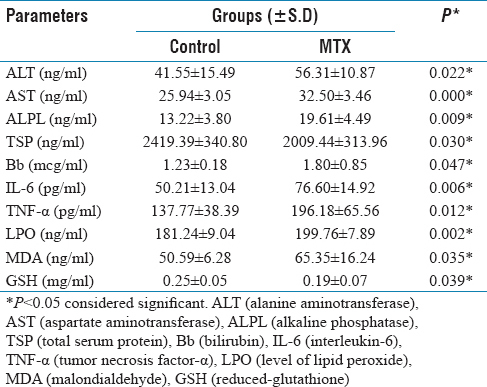 This study displays that the two pretreated rats' groups with TAK-242 and GIT-27 in comparison with hepatotoxic MTX-treated group resulted in the following changes in markers of hepatic function [Table 2]. Pretreatment with TAK-242 caused a significant decrease (P < 0.05) in serum level of ALT (by a mean decrease of 18.80 ng/ml), AST (by a mean decrease of 3.55 ng/ml), ALPL (by a mean decrease of 5.79 ng/ml), and Bb (by a mean decrease of 0.60 mcg/ml) and a significant increase (P < 0.05) in TSP (by a mean increase of 430.13 mcg/ml). It also causes a significant decrease (P < 0.05) in serum level of the inflammatory markers IL-6 (by a mean decrease of 20.65 pg/ml) and TNF-α (by a mean decrease of 45.79 pg/ml), decrease in the oxidative stress markers MDA (by a mean decrease of 21.66 ng/ml), and significant increase (P < 0.05) in GSH (by a mean increase of 0.07 mg/ml), while decrement in LPO level is still nonsignificant (P > 0.05, by a mean decrease of 10.00 ng/ml). Pre-treatment with GIT-27 causes significant (P < 0.05) decrease in serum level of AST (by mean decrease of 3.51 ng/ml), ALPL (by mean decrease of 5.01 ng/ml), and Bb (by mean decrease of 0.56 mcg/ml). Also significant decrease (P < 0.05) in serum level of inflammatory markers IL-6 (by mean decrease of 27.06 ng/ml) and TNF-α (by mean decrease of 47.06 pg/ml) and significant decrease in the oxidative stress markers MDA (by mean decrease of 19.84 ng/ml) and significant increase (P < 0.05) in GSH (by mean increase of 0.05 mg/ml) whilst it causes nonsignificant decrement in serum level of ALT (by mean decrease of 12.11 ng/ml), and LPO (by mean decrease of 10.87 ng/ml), and nonsignificant (P > 0.05) increase in TSP (by mean increase of 348.17 mcg/ml). The histopathological findings from DILI were graded as mild, moderate, and severe[Table 3]. They were examined in five treatment groups, each containing seven rats. According to NAFLD component scoring system, [Figure 2] shows no liver abnormality in hepatic architecture and normal lobular rearrangement in control group animals, while the highest grading score (severe) was found in MTX-treated animals as shown in [Figure 3] and [Figure 4], respectively, and groups pretreated with the drugsTAK-242 and GIT-27 [Figure 5] and [Figure 6] show lower grade scores with moderate hepatic changes. The lowest grading scores were seen in TAK-242 pretreated animals. Note that pretreatment with vehicle (DMSO) shows the same changes as seen in MTX-treated animals (data not shown). 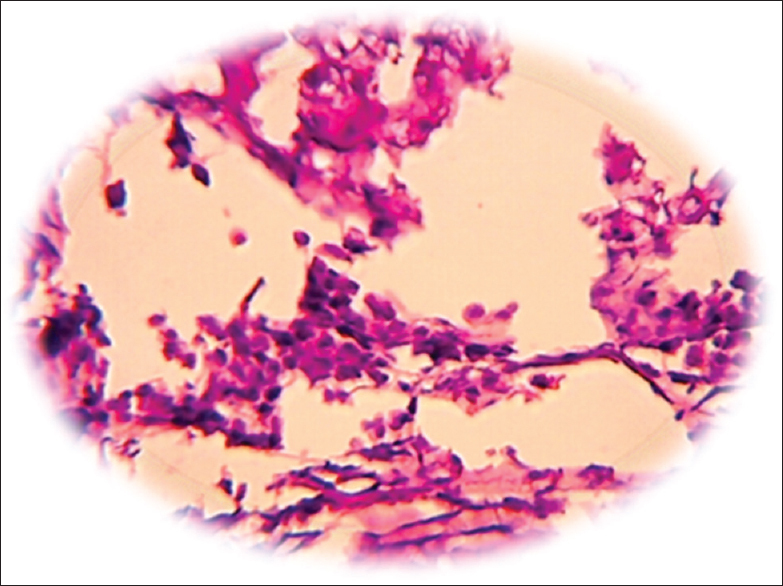 Pandit A, Sachdeva T, Bafna P. Drug-induced hepatotoxicity: A review. Journal of Applied Pharmaceutical Science 2012;2:233-4. Singh R, Kumar S, Rana AC, Sharma N. Different models of hepatotoxicity and related liver disease: A review. Int Res J Pharm 2012;3. Kleiner DE. 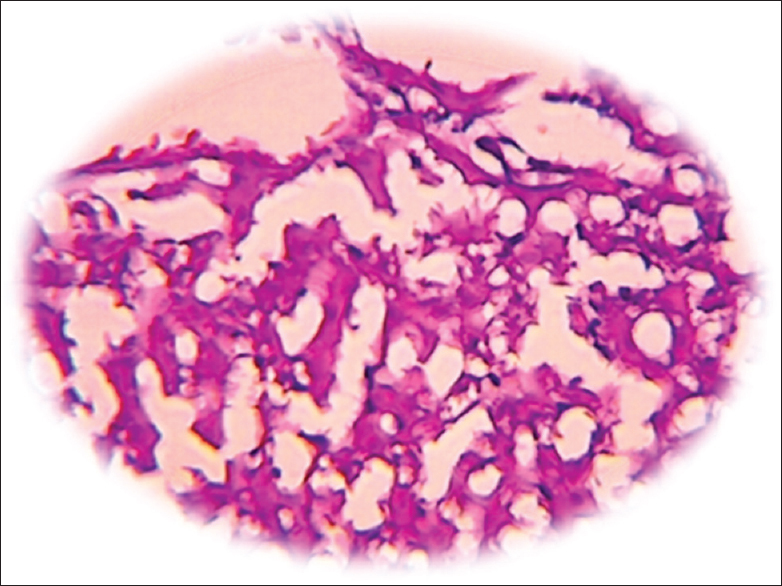 The histopathological evaluation of drug-induced liver injury. 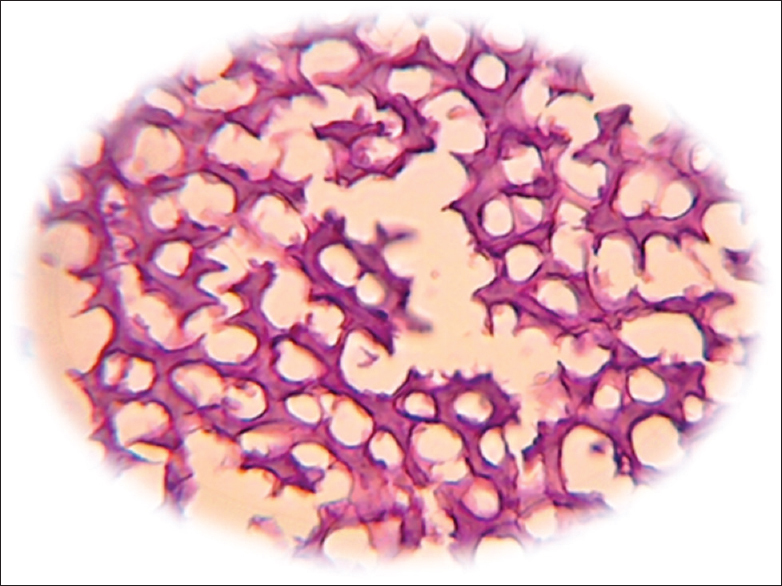 Histopathology 2017;70:81-93. 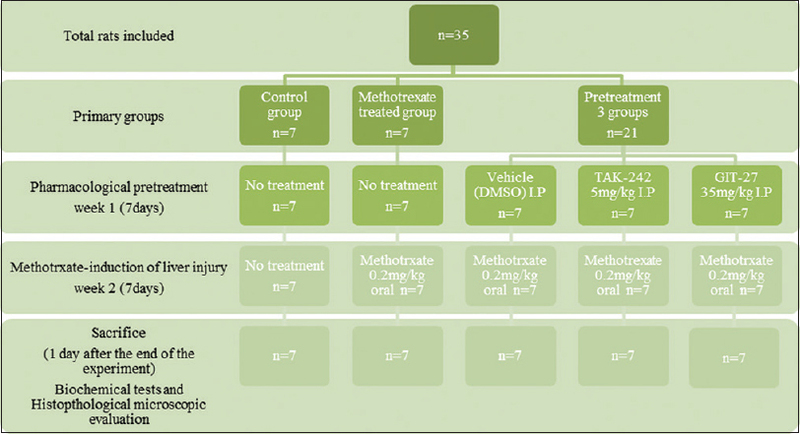 Alempijevic T, Zec S, Milosavljevic T. Drug-induced liver injury: Do we know everything? World J Hepatol 2017;9:491-502. Campbell JM, Bateman E, Stephenson MD, Bowen JM, Keefe DM, Peters MD, et al. Methotrexate-induced toxicity pharmacogenetics: An umbrella review of systematic reviews and meta-analyses. Cancer Chemother Pharmacol 2016;78:27-39. Bianchi G, Caporali R, Todoerti M, Mattana P. Methotrexate and rheumatoid arthritis: Current evidence regarding subcutaneous vs. oral routes of administration. Adv Ther 2016;33:369-78. Carrascosa JM, de la Cueva P, Ara M, Puig L, Bordas X, Carretero G, et al. Methotrexate in moderate to severe psoriasis: Review of the literature and expert recommendations. Actas Dermosifiliogr 2016;107:194-206. Coskun M, Steenholdt C, de Boer NK, Nielsen OH. Pharmacology and optimization of thiopurines and methotrexate in inflammatory bowel disease. Clin Pharmacokinet 2016;55:257-74. Gabbani T, Deiana S, Lunardi S, Manetti N, Annese V. Safety profile of methotrexate in inflammatory bowel disease. Expert Opin Drug Saf 2016;15:1427-37. Yee J, Orchard D. Monitoring recommendations for oral azathioprine, methotrexate and cyclosporin in a paediatric dermatology clinic and literature review. Australas J Dermatol 2018;59:31-40. Levȇque D, Becker G, Toussaint E, Fronecker LM, Pillard C. Clinical pharmacokinetics of methotrexate in oncology. Int J Pharmacokinet 2017;2:137-47. Wan S, Xiang Y, Fang W, Huang D. The effect of methotrexate in combination with mifepristone on ectopic pregnancy: A meta-analysis. Int J Clin Exp Med 2016;9:14990-5003. Yang C, Cai J, Geng Y, Gao Y. Multiple-dose and double-dose versus single-dose administration of methotrexate for the treatment of ectopic pregnancy: A systematic review and meta-analysis. Reprod Biomed Online 2017;34:383-91. Quetglas EG, Armuzzi A, Wigge S, Fiorino G, Barnscheid L, Froelich M, et al. Review article: The pharmacokinetics and pharmacodynamics of drugs used in inflammatory bowel disease treatment. Eur J Clin Pharmacol 2015;71:773-99. Miele L, Liguori A, Marrone G, Biolato M, Araneo C, Vaccaro FG, et al. Fatty liver and drugs: The two sides of the same coin. Eur Rev Med Pharmacol Sci 2017;21:86-94. Khokhar A, Qayyum A, Khan MW. Protective effect of melatonin against methotrexate induced hepatotoxicity in mice. Pak Armed Forces Med J 2017;67:126-30. Cure E, Kirbas A, Tumkaya L, Cure MC, Kalkan Y, Yilmaz A, et al. Protective effect of infliximab on methotrexate-induced liver injury in rats: Unexpected drug interaction. J Cancer Res Ther 2015;11:164-9. Hussey SE, Liang H, Costford SR, Klip A, DeFronzo RA, Sanchez-Avila A, et al. TAK-242, a small-molecule inhibitor of toll-like receptor 4 signalling, unveils similarities and differences in lipopolysaccharide- and lipid-induced inflammation and insulin resistance in muscle cells. Biosci Rep 2012;33:37-47. Zhang Y, Peng W, Ao X, Dai H, Yuan L, Huang X, et al. TAK-242, a toll-like receptor 4 antagonist, protects against aldosterone-induced cardiac and renal injury. PLoS One 2015;10:e0142456. Gárate I, García-Bueno B, Madrigal JL, Caso JR, Alou L, Gómez-Lus ML, et al. Toll-like 4 receptor inhibitor TAK-242 decreases neuroinflammation in rat brain frontal cortex after stress. J Neuroinflammation 2014;11:8. Wang XT, Lu YX, Sun YH, He WK, Liang JB, Li L, et al. TAK-242 protects against apoptosis in coronary microembolization-induced myocardial injury in rats by suppressing TLR4/NF-κB signaling pathway. Cell Physiol Biochem 2017;41:1675-83. Oya S, Yokoyama Y, Kokuryo T, Uno M, Yamauchi K, Nagino M. Inhibition of toll-like receptor 4 suppresses liver injury induced by biliary obstruction and subsequent intraportal lipopolysaccharide injection. Am J Physiol -Gastrointest Liver Physiol 2013;306:G244-G252. Hadi N, Jabber H. Potential activity of GIT27 against renal ischemia reperfusion injury: An experimental study in male rats. Pathophysiol Cell Injury J 2016;5:87-99. Stosic-Grujicic S, Cvetkovic I, Mangano K, Fresta M, Maksimovic-Ivanic D, Harhaji L, et al. Apotent immunomodulatory compound, (S, R)-3-phenyl-4,5-dihydro-5-isoxazole acetic acid, prevents spontaneous and accelerated forms of autoimmune diabetes in NOD mice and inhibits the immunoinflammatory diabetes induced by multiple low doses of streptozotocin in CBA/H mice. J Pharmacol Exp Ther 2007;320:1038-49. Min HS, Kim JE, Lee MH, Song HK, Lee MJ, Lee JE, et al. Effects of toll-like receptor antagonist 4,5-dihydro-3-phenyl-5-isoxasole acetic acid on the progression of kidney disease in mice on a high-fat diet. Kidney Res Clin Pract 2014;33:33-44. Saurus P, Kuusela S, Dumont V, Lehtonen E, Fogarty CL, Lassenius MI, et al. Cyclin-dependent kinase 2 protects podocytes from apoptosis. Sci Rep 2016;6:21664. Saurus P, Kuusela S, Lehtonen E, Hyvönen ME, Ristola M, Fogarty CL, et al. Podocyte apoptosis is prevented by blocking the toll-like receptor pathway. Cell Death Dis 2015;6:e1752. Fagone P, Muthumani K, Mangano K, Magro G, Meroni PL, Kim JJ, et al. VGX-1027 modulates genes involved in lipopolysaccharide-induced toll-like receptor 4 activation and in a murine model of systemic lupus erythematosus. Immunology 2014;142:594-602. Mangano K, Sardesai N, D'Alcamo M, Libra M, Malaguarnera L, Donia M, et al. In vitro inhibition of enterobacteria-reactive CD4+CD25- T cells and suppression of immunoinflammatory colitis in mice by the novel immunomodulatory agent VGX-1027. Eur J Pharmacol 2008;586:313-21. Olayinka ET, Ore A, Adeyemo OA, Ola OS. Ameliorative effect of gallic acid on methotrexate-induced hepatotoxicity in rat. J Xenobiotics 2016;6:6092. Yucel Y, Oguz E, Kocarslan S, Tatli F, Gozeneli O, Seker A, et al. The effects of lycopene on methotrexate-induced liver injury in rats. Bratisl Lek Listy 2017;118:212-6. Zhao Y, Xin Y, Gao J, Teng RY, Chu HC. Analgesic effect of TAK-242 on neuropathic pain in rats. Int J Clin Exp Med 2015;8:11202-7. Yousif NG, Mohammad BI, Al-Khalidy SA. Effect of N-acetyl cysteine and TAK-242 on sepsis induced myocardial injury: Down regulation of MMP-2 pathway in mice. Pathophysiol Cell Injury J 2016;5:111-25. Hawk CT, Leary ST, Morris TH. Formulary for Laboratory Animals. 3rd ed. 2121 State Avenue, Ames, Iowa 50014, USA. Blackwell Publishing; 2005. IQ 3Rs Leadership Group – Contract Research Organization Working Group Recommended Dose Volumes for Common Laboratory Animals; 2016. Matsunaga N, Tsuchimori N, Matsumoto T, Ii M. TAK-242 (resatorvid), a small-molecule inhibitor of toll-like receptor (TLR) 4 signaling, binds selectively to TLR4 and interferes with interactions between TLR4 and its adaptor molecules. Mol Pharmacol 2011;79:34-41. Tunali-Akbay T, Sehirli O, Ercan F, Sener G. Resveratrol protects against methotrexate-induced hepatic injury in rats. J Pharm Pharm Sci 2010;13:303-10. Suvarna SK, Layton C, Bancroft JD. Bancroft's Theory and Practice of Histological Techniques. 7th Ed. British Library Cataloguing in Publication Data. Churchill Livingstone Elsevier; 2013. Hadi NR, Al-Amran FG, Swadi A. Metformin ameliorates methotrexate-induced hepatotoxicity. J Pharmacol Pharmacother 2012;3:248-53. Tawfik MK. Combination of coenzyme Q10 with methotrexate suppresses Freund's complete adjuvant-induced synovial inflammation with reduced hepatotoxicity in rats: Effect on oxidative stress and inflammation. Int Immunopharmacol 2015;24:80-7. David AV, Satyanarayana N, Parasuraman S, Bharathi S, Arulmoli R. Ameliorative effect of quercetin in methotrexate induced toxicity in Sprague-Dawley rats: A histological study. Indian J Pharm Educ Res 2016;50:S200-8. Almansour MI, Jarrar YB, Aloyaidy KA, Jarrar BM. Ameliorative effect of propolis against hepatorenal alterations induced by methotrexate: Morphological study. Int J Morphol 2017;35:756-64. Walker TM, Rhodes PC, Westmoreland C. The differential cytotoxicity of methotrexate in rat hepatocyte monolayer and spheroid cultures. Toxicol In Vitro 2000;14:475-85. Ali N, Rashid S, Nafees S, Hasan SK, Sultana S. Beneficial effects of chrysin against methotrexate-induced hepatotoxicity via attenuation of oxidative stress and apoptosis. Mol Cell Biochem 2014;385:215-23. Kose E, Sapmaz HI, Sarihan E, Vardi N, Turkoz Y, Ekinci N, et al. Beneficial effects of montelukast against methotrexate-induced liver toxicity: A biochemical and histological study. ScientificWorldJournal 2012;2012:987508. El-Sheikh AA, Morsy MA, Abdalla AM, Hamouda AH, Alhaider IA. Mechanisms of thymoquinone hepatorenal protection in methotrexate-induced toxicity in rats. Mediators Inflamm 2015;2015:859383. Abo-Haded HM, Elkablawy MA, Al-Johani Z, Al-Ahmadi O, El-Agamy DS. 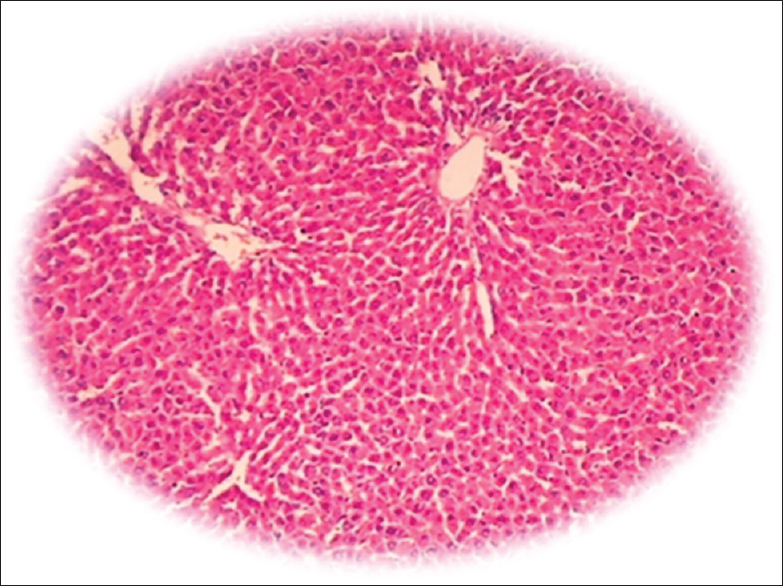 Hepatoprotective effect of sitagliptin against methotrexate induced liver toxicity. PLoS One 2017;12:e0174295. Darwish SF, El-Bakly WM, Arafa HM, El-Demerdash E. Targeting TNF-α and NF-κB activation by bee venom: Role in suppressing adjuvant induced arthritis and methotrexate hepatotoxicity in rats. PLoS One 2013;8:e79284. Çakır T, Özkan E, Dulundu E, Topaloğlu Ü, Şehirli AÖ, Ercan F, et al. Caffeic acid phenethyl ester (CAPE) prevents methotrexate-induced hepatorenal oxidative injury in rats. J Pharm Pharmacol 2011;63:1566-71. Tabassum H, Parvez S, Pasha ST, Banerjee BD, Raisuddin S. Protective effect of lipoic acid against methotrexate-induced oxidative stress in liver mitochondria. Food Chem Toxicol 2010;48:1973-9. Yokoi T, Yokoyama Y, Kokuryo T, Yamaguchi J, Nagino M. Inhibition of toll-like receptor 4 ameliorates experimental postischemic injury in the cholestatic liver through inhibition of high-mobility group box protein b1 (HMGB1) signaling. Surgery 2018;163:270-6. Salama M, Elgamal M, Abdelaziz A, Ellithy M, Magdy D, Ali L, et al. Toll-like receptor 4 blocker as potential therapy for acetaminophen-induced organ failure in mice. Exp Ther Med 2015;10:241-6. Sha T, Iizawa Y, Ii M. Combination of imipenem and TAK-242, a toll-like receptor 4 signal transduction inhibitor, improves survival in a murine model of polymicrobial sepsis. Shock 2011;35:205-9. Yu P, Cheng X, Du Y, Huang L, Dong R. TAK-242 can be the potential agents for preventing invasion and metastasis of hepatocellular carcinoma. Med Hypotheses 2013;81:653-5. Wei CB, Tao K, Jiang R, Zhou LD, Zhang QH, Yuan CS, et al. Quercetin protects mouse liver against triptolide-induced hepatic injury by restoring Th17/Treg balance through tim-3 and TLR4-myD88-NF-κB pathway. Int Immunopharmacol 2017;53:73-82. Shao Z, Jiao B, Liu T, Cheng Y, Liu H, Liu Y, et al. TAK-242 treatment ameliorates liver ischemia/reperfusion injury by inhibiting TLR4 signaling pathway in a swine model of maastricht-category-III cardiac death. Biomed Pharmacother 2016;84:495-501. Wen Z, Ji X, Tang J, Lin G, Xiao L, Liang C, et al. Positive feedback regulation between transglutaminase 2 and toll-like receptor 4 signaling in hepatic stellate cells correlates with liver fibrosis post Schistosoma japonicum infection. Front Immunol 2017;8:1808. Khan MA, Farahvash A, Douda DN, Licht JC, Grasemann H, Sweezey N, et al. JNK activation turns on LPS- and gram-negative bacteria-induced NADPH oxidase-dependent suicidal NETosis. Sci Rep 2017;7:3409. Lin A, Wang G, Zhao H, Zhang Y, Han Q, Zhang C, et al. TLR4 signaling promotes a COX-2/PGE2/STAT3 positive feedback loop in hepatocellular carcinoma (HCC) cells. Oncoimmunology 2016;5:e1074376. HO SS. Immune-mediated drug induced liver injury: A multidisciplinary approach. Library/The Sydney Scholarship Repository/Postgraduate Theses/Sydney Digital Theses. Faculty of Pharmacy: The University of Sydney;2015. Takashima K, Matsunaga N, Yoshimatsu M, Hazeki K, Kaisho T, Uekata M, et al. Analysis of binding site for the novel small-molecule TLR4 signal transduction inhibitor TAK-242 and its therapeutic effect on mouse sepsis model. Br J Pharmacol 2009;157:1250-62. Cha JJ, Hyun YY, Lee MH, Kim JE, Nam DH, Song HK, et al. Renal protective effects of toll-like receptor 4 signaling blockade in type 2 diabetic mice. Endocrinology 2013;154:2144-55. Laird MD, Shields JS, Sukumari-Ramesh S, Kimbler DE, Fessler RD, Shakir B, et al. High mobility group box protein-1 promotes cerebral edema after traumatic brain injury via activation of toll-like receptor 4. Glia 2014;62:26-38. Arslan F, Keogh B, McGuirk P, Parker AE. TLR2 and TLR4 in ischemia reperfusion injury. Mediators Inflamm 2010;2010:704202. Mittermayer F, Caveney E, De Oliveira C, Fleming GA, Gourgiotis L, Puri M, et al. Addressing unmet medical needs in type 1 diabetes: A Review of drugs under development. Curr Diabetes Rev 2017;13:300-14. Stojanovic I, Cuzzocrea S, Mangano K, Mazzon E, Miljkovic D, Wang M, et al. In vitro, ex vivo and in vivo immunopharmacological activities of the isoxazoline compound VGX-1027: Modulation of cytokine synthesis and prevention of both organ-specific and systemic autoimmune diseases in murine models. Clin Immunol 2007;123:311-23.